Cadbury Eggs and Calculus	It’s still Easter, people! 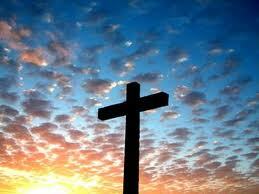 This may seem strange, but I absolutely love Good Friday. Even though it’s a sad and somber holiday, I enjoy it, look forward to it ahead of time, and consider it one of my favorite days of the church year. For one thing, some of my favorite hymns are Good Friday hymns, such as O Sacred Head Now Wounded and Stricken, Smitten, and Afflicted. Of course, another part of the appeal of Good Friday is the fact that it’s just two days before Easter. When one is sitting in church singing something like O Sacred Head Now Wounded, one knows that Jesus Christ is Risen Today and Awake, My Heart, with Gladness are just around the corner. Nothing can negate the atrocity of Jesus’ crucifixion and of the sin that made it necessary, but the salvation that comes from Good Friday and the Resurrection make it an occasion that can be observed with gladness as well as with sorrow. That’s what makes the aforementioned Good Friday hymns so awesome. They’re about sin and death, but they’re also about grace and salvation.